Clean, accessible hours through the week and great customer service. 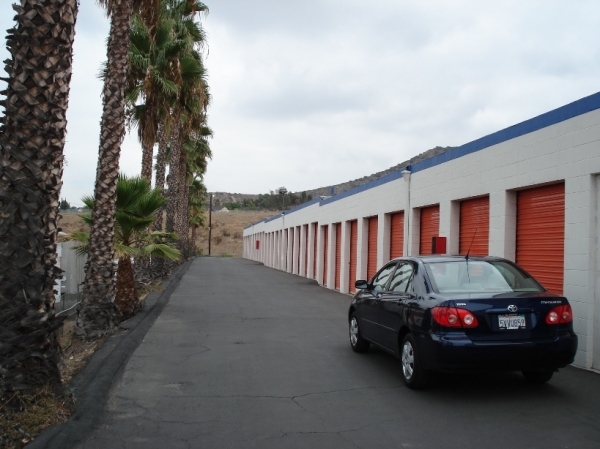 It has been a pleasant experience storing our belongings at Santee Mini Storage. The cost is average from what I found. The units and property are very neat and clean and the customer service is outstanding. They are very nice people who are friendly and accommodating. Great Staff! Also helpful and friendly. keep up the great work! The staff makes the difference. Thank you! Michael B. La Barre Jr.
Best facility I have used to date. The staff and on site manager are very approachable and pleasant to talk to. I would continue to use this location based on your staff alone. Pricing is competitive and fits my needs to the T.
Perfect price and location. Friendly customer service. Fast and easy, safe and secure. No need to go anywhere else. Great hours at this storage facility. Great friendly service. This is the first time I've had a storage unit and it has been nothing but a great experience. The manager Gene was extremely helpful and very pleasant to deal with. All of the units are drive up access which is extremely convenient when loading and unloading and are the same price as other facilities units that you have to use an elevator or stairway to get to. I would definitely recommend them to anybody looking for storage. Very friendly and professional at a good price. Great folks work here to help you!!!!! Quick easy application, several starting rates to help, very clean and secure with your own lock and key! Couldn't be happier! Just eager to get business not work with customers. Sold a rv space clearly misrepresenting the actual size knowing it would fit with no clearance on either side. Unwilling to let out of contract when rv would not fit when they mislead the actual size. I am storing a trailer at this facility, and I have to say it is less than optimum. Getting my trailer in an out is dicey, and the day will come when I can't get it out, or back in. The lot is triangular, and there is parking in the middle. Depending on what is parked there, and next to me, access can be blocked. The lot is dirt and gravel, which can get a bit mushy. Many of the vehicles are junk vehicles. The staff have always been very nice, and helpful, and have apologized for the difficulty in getting in and out (the gate has a sharp turn and steep approach), but state it is company mandate and policy. The yard is always clean, even the gravel and mud. I have had no issue with security either. I just wish the parking was not the challenge that it is. Likely going to move soon, before I try to get the trailer out, and can't; or someone hits my trailer trying to get their own out. The staff is very friendly and have a genuine concern for its customers. Facility is clean and secure. Good place, bad hours and access. Nice, clean facility, good prices. It's a hassle to get to the key pad to open the gate. Have to get out of the car to get it and to get out. It's doesn't open until 9:00am and closes at 6:00 pm. Nice place, but not very convenient due to the hours. Always a pleasant experience when interacting with personnel. I like the staff that work there. I think the best feature of Santee Mini Storage is the staff that work there. They are friendly, helpful and honest. 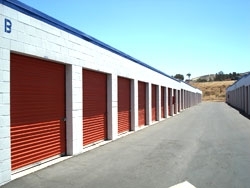 The storage facilities are clean and well-maintained, and fairly easy to access. I wish the price were a little cheaper since I am on a limited budget right now. That's my only concern. Love the staff here! Very helpful and kind! Great people, good prices and facilities. Gene and Glinda were always so helpful and wonderful to deal with. I had my storage unit for about 3 years and they kept the prices very reasonable the entire time. I would definitely recommend them to anyone. Check prices around...you'll see they have the best. Virtually impossible for mobility challenged to negotiate driveway and login station. My experience has been great here. It was very easy to get my items into the unit, the process was very pleasant. Its a clean and honest place. Great. Gene is very helpful. I've had my unit for almost 2 years now. Access is always convenient, hours are convenient, when I forget to pay my bill (because I do that) they provide a courtesy call to remind me before I get a late fee.